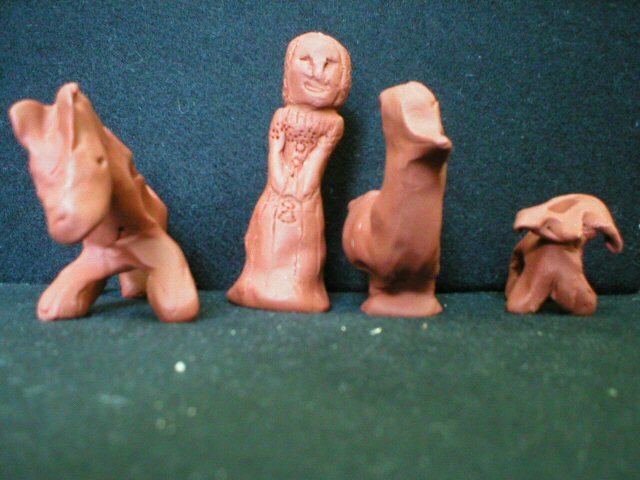 These toys were made for children to play with at medieval events. Click the thumbnails to see larger photos. 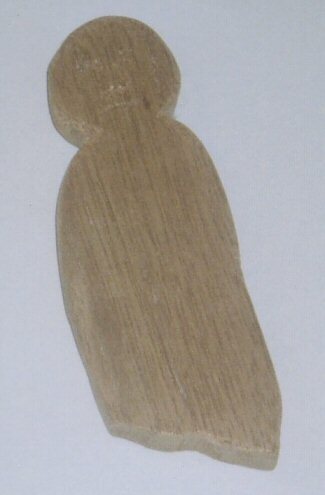 2002 Wooden doll with incised facial features. 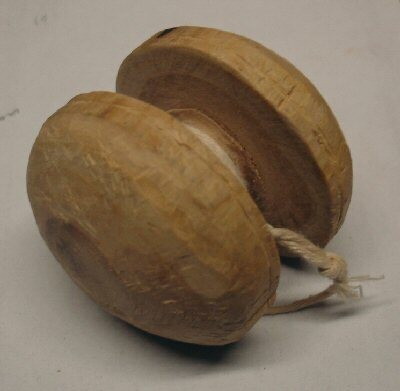 2004 Two leather balls stuffed with wool. 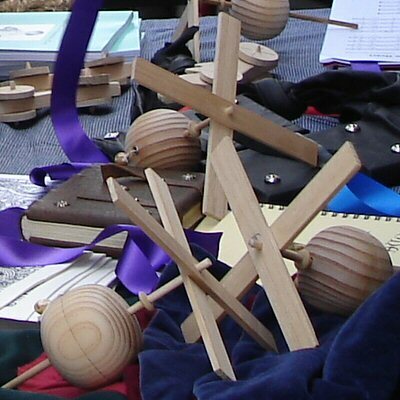 2006 Two wooden whirlygigs (or "nut mills"). 2007 A 14thC pewter horse. 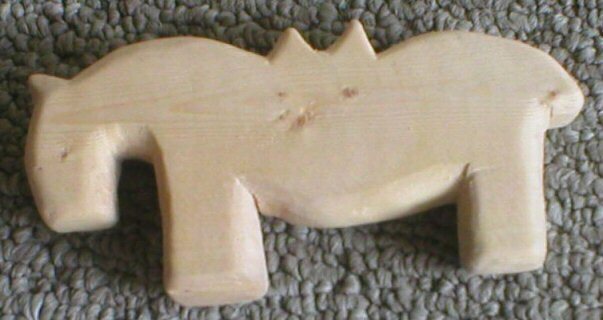 Approx 6cm. See the pewter horse article. 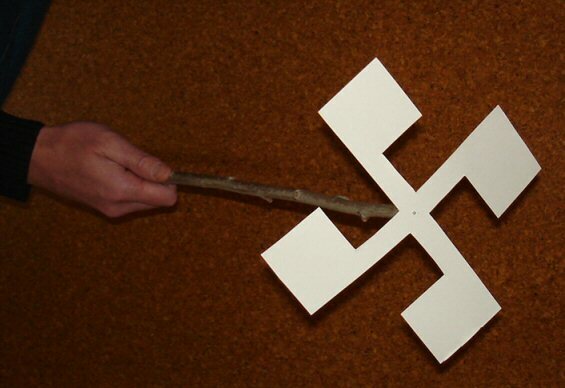 2008 A windmill lance, made from card and a metre-long willow shaft. 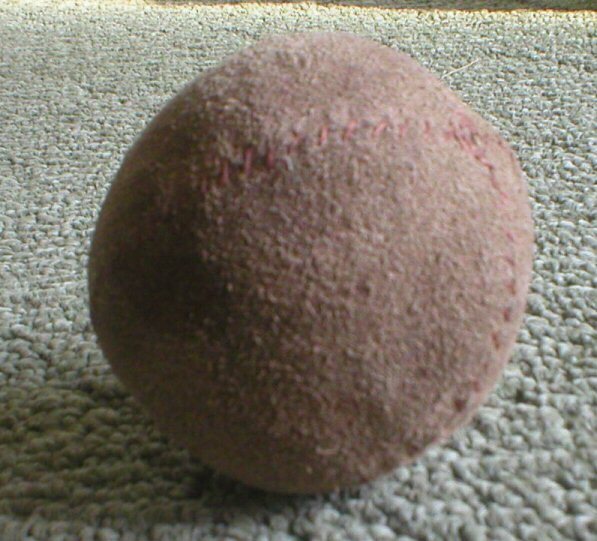 2009 Leather Ball stuffed with moss. 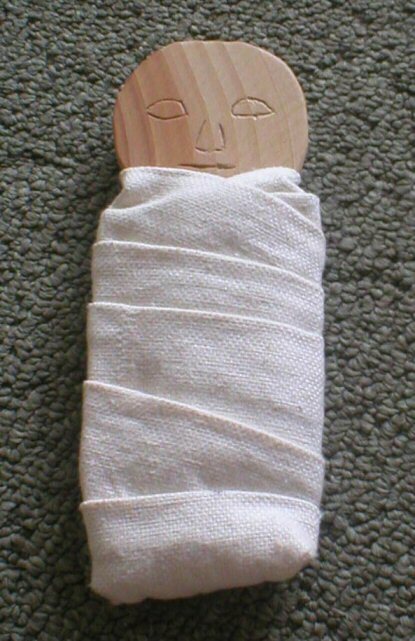 2009 Stump Doll swaddled in linen. See the Viking Toys article. These photographs are copyright. Please ask the maker for permission to use.